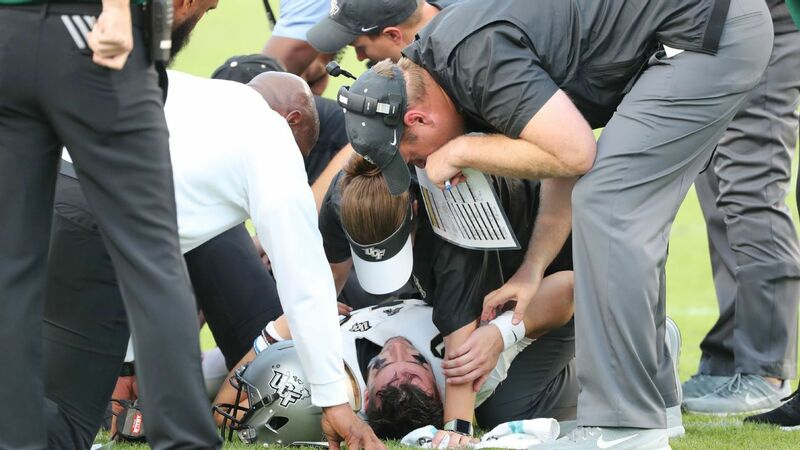 The family of Central Florida quarterback McKenzie Milton says he has nerve damage in his right leg, but “blood flow has been restored” and he is recovering from the injury suffered during UCF’s last game. Milton was taken off the field during the first half of the Knights‘ victory at South Florida on Friday after getting injured while being tackled. He has been treated at Tampa General Hospital. Milton’s family released a statement Tuesday, saying the nerve in Milton’s leg was “injured but intact.” He will have reconstructive knee surgery at an undetermined date.